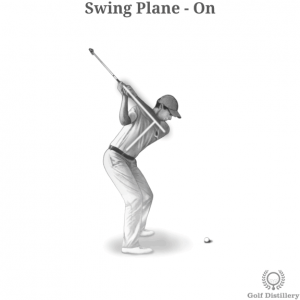 A swing that can be defined as on plane is one where the line formed by the straight left arm at the top of the swing crosses the line formed by the spine at a 90 degree angle. 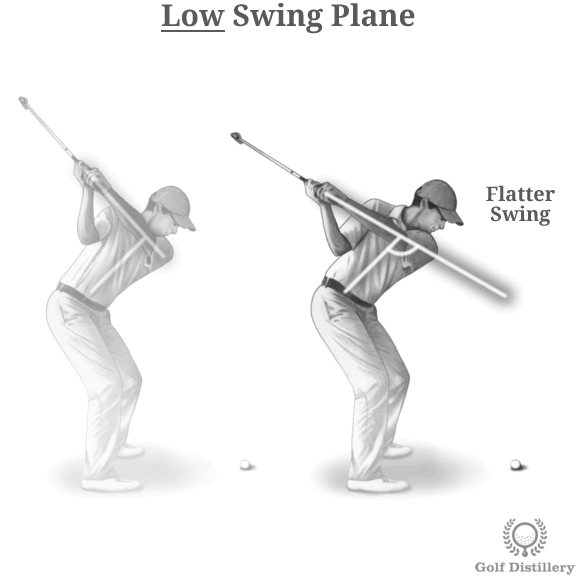 It is the default swing plane and the deviations from that standard position are detailed below. 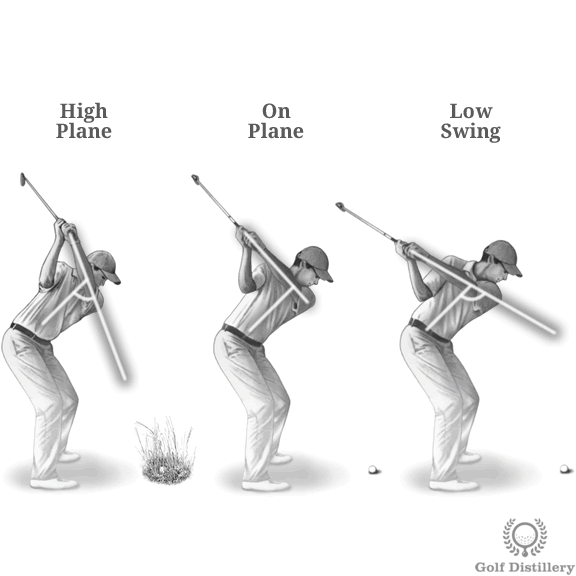 A swing that can be defined as high plane is one where the line formed by the straight left arm at the top of the swing shoots down towards the ground at a steep angle. In this case, the angle between that line and the spine will be under 90 degrees. 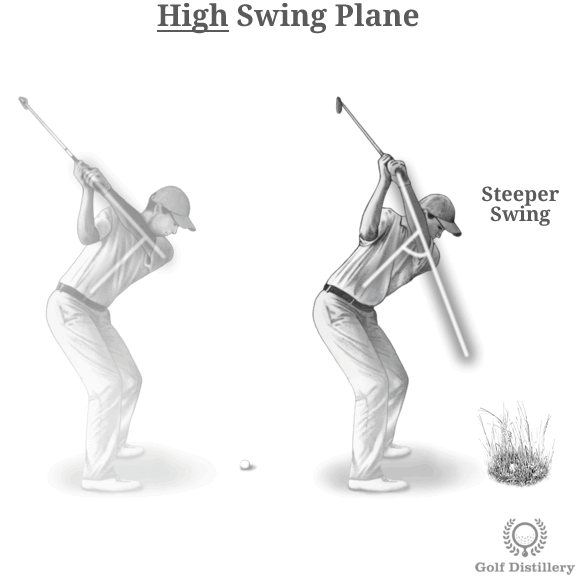 A steep swing is often associated with an outside-in swing path and with that path’s corresponding feature of a tendency for left-to-right sidespin. Additionally, the steep angle of attack is known to generate more spin and to lead to a higher than usual ball flight. It is especially useful for balls buried in tall grass. Indeed, a club that descends rapidly towards the ball has less opportunities to get slowed down by the blades of grass in front of the ball. 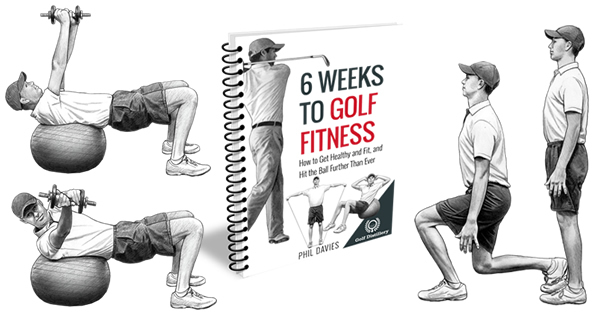 It is also quite useful bunker shots that need to fly high rapidly, where the clubhead will strike the sand with a powerful blow which will send the ball high. 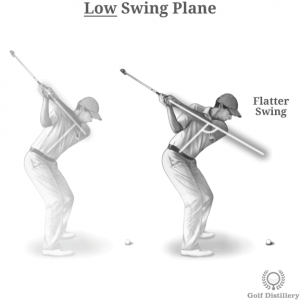 A swing that can be defined as low plane is one where the line formed by the straight left arm at the top of the swing shoots down towards the ground at a relatively soft angle. In this case, the angle between that line and the spine will be over 90 degrees. 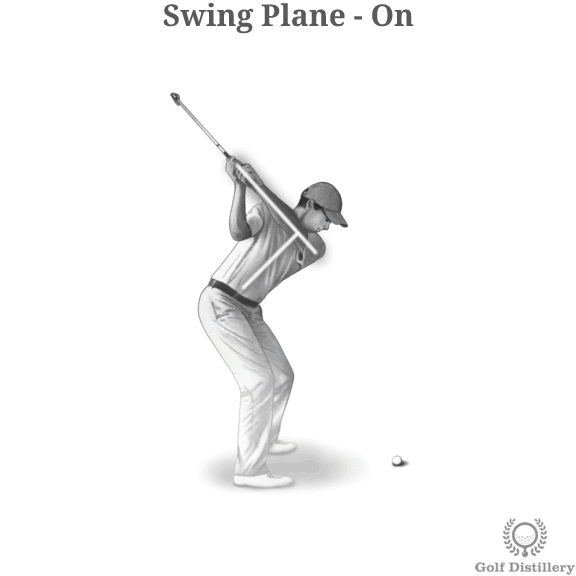 A shallow swing is often associated with an inside-out swing path and with that path’s corresponding feature of a tendency for right-to-left sidespin. 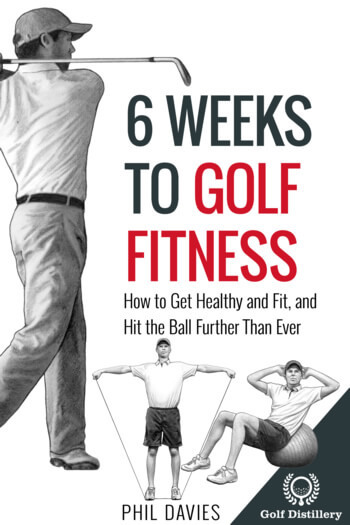 Moreover, the shallow angle of attack is known to generate less spin and to lead to lower than usual ball flight. Those features make it especially useful for shots into a strong headwind or for bunker shots that can fly out on a low trajectory. 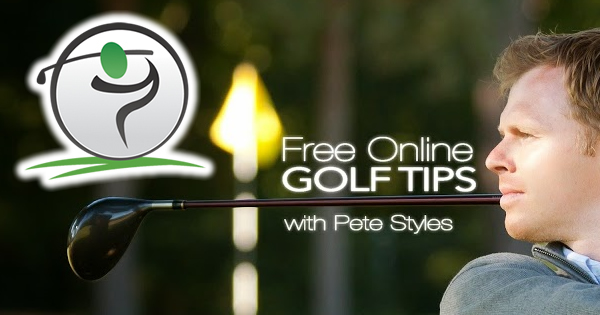 Otherwise, it can also be useful for short shots with a tight lie where a sweep at the ball is preferred in contrast to a descending blow.